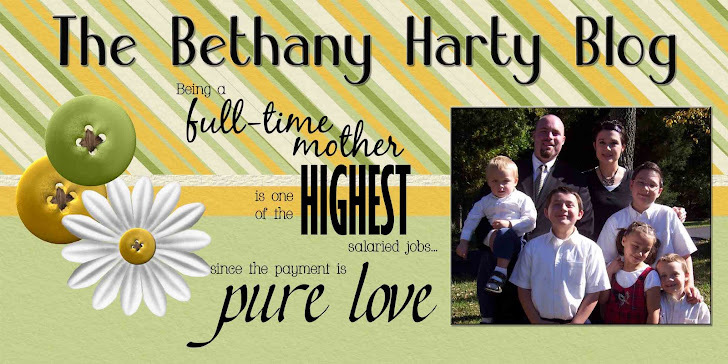 The Bethany Harty Blog: Hi! I snuck into Brent's co-w0rkers computer to check my balance at the bank, and stopped by here to say hello. It's sure hard to be stranded from technology at Scout camp in the woods, but we're surviving. We had a good weekend this past weekend. We went to a Civil War event, and to the Farm to see the apple trees and buckeyes, and to a friends house for dinner. Pretty fun, all around. Today, we're off to the bank, and the dollar store, and back to get the kids from the bus. A lot of picking up and dropping off at the bus going on. YEAH. . .you need to do more sneaking. . . we love hearing form you!! I will go along with that!!!!!!!!! I really miss yoy're blog "stuff"! Love ya all bunches!!!!!!!!!!! Great to hear that the family is doing great. I agree do more sneaking. Keep us all up to date.